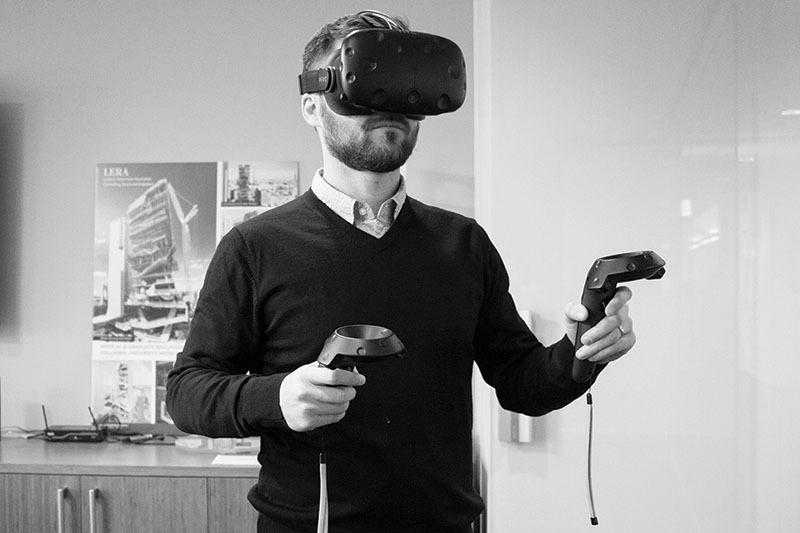 New York, NY Virtual Reality (VR) provides an unprecedented opportunity to maximize collaboration, efficiency and workflow in the design of buildings and interior spaces. Beyond its usefulness as a visualization tool, the true power of VR lies in its potential to improve the decision making process through the ability to experience models at a real scale, change designs in real time and coordinate remotely in the virtual environment. Every VR session generates an abundance of user data that can be recorded, saved and exported for post-processing and analysis. This data—such as positional history (i.e. how the user navigates a space), focus (i.e. what elements draw the most/least attention), time (i.e. where the user lingers longest) and more—can shape the development of a design, offering architects, designers and real estate professionals a new stream of information to tap into to make their designs more efficient and responsive. Utilizing IMMERSIFY, a VR-based software platform for Rhino and Revit developed in-house at LERA Consulting Structural Engineers, this article describes how to use VR to harness user data and create better designs. VR can help developers and real estate agents better understand future projects. View studies offer a closer look at the ins and outs of a building, and VR view studies are much more powerful than traditional 3D renderings. VR enables users to freely explore a model firsthand, discovering and experiencing different lines of sight for themselves. This then creates a valuable feedback loop for the design team that they otherwise would not have access to. VR can also be used to study how the building appears from the outside, placing users at any location in nearby buildings—or even floating in the sky—to get a complete picture of the site’s context. There are two basic techniques for preparing view studies in VR: either combining 360° photography with 3D models, or combining 3D building models with 3D models of the site and cityscape. Typically, view studies have been qualitative in nature, relying on the client’s “feel” for the environment. By collecting user data in VR, however, quantitative information can be mapped onto a seemingly subjective experience. For example, heat maps can be generated to reveal the most frequently viewed areas on each floor (such as a specific window with a direct view of the Empire State Building, for instance, or an arresting work of art). This technique can also be used to rate the floor areas from which specific landmarks are visible. 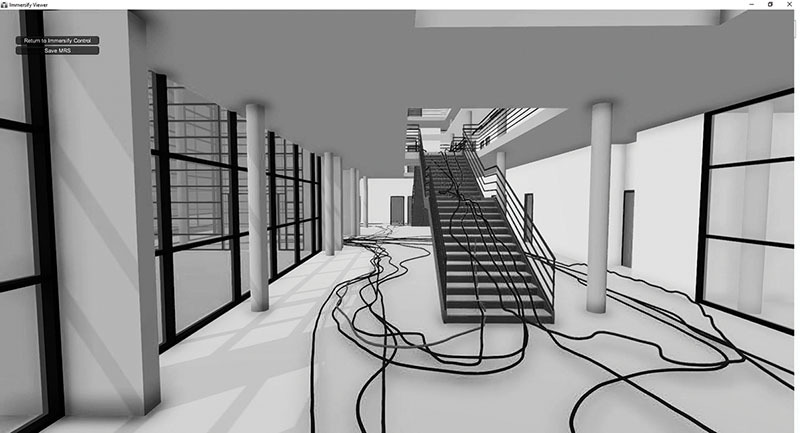 By tracking users’ positional data in VR, designers can observe how people navigate the architectural space, opening up possibilities for enhancing wayfinding and accessibility. User paths can be represented graphically or superimposed onto the 3D/VR model itself. The best designs are those that strike a balance between form and function. VR offers a new stream of information to optimize any design, saving time and money in the process. By recording user data in VR, behavioral patterns emerge that can better inform a design, making it more responsive to the human experience, client needs and project goals. Download a free trial of IMMERSIFY at www.suppletechnologies.com/immersify.